As some of you probably already know, I LOVE it when synchronicity and weird coincidences happen in my life. 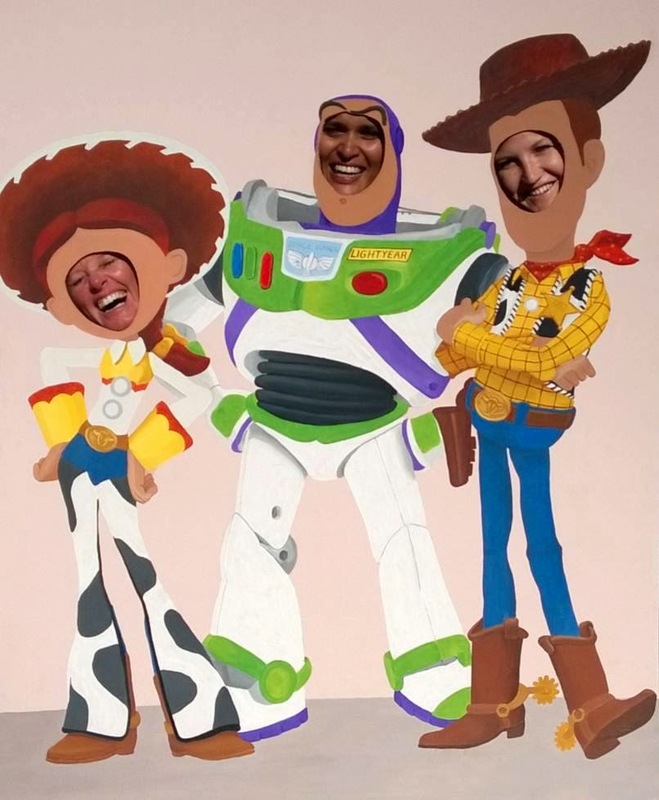 I was painting some characters from the movie Toy Story onto a board to make a Head-in-the-hole Photo Booth for a school market day. In the movie, the characters, Jessie, Buzz Lightyear and Sheriff Woody, are toys that belong to a little boy called Andy Davis. When I got home from the shop and took the can of Coke out of the bag, I had to laugh. See what it says on the can!!? Share a Coke and a Smile... ANDY!!! 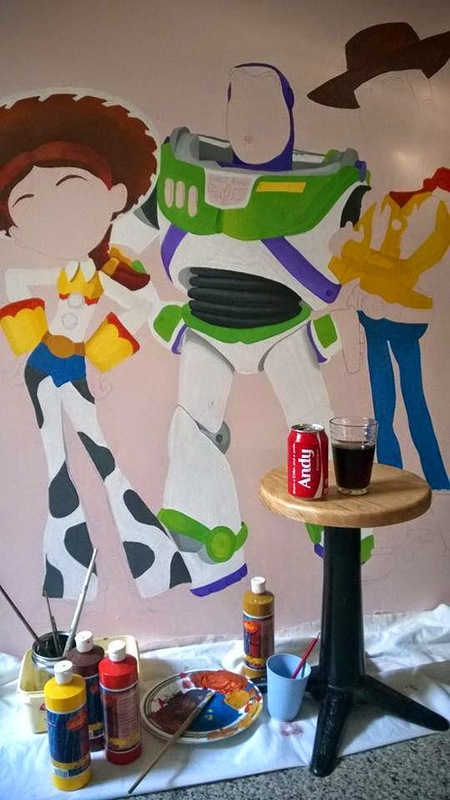 Painting Jessie, Buzz and Woody characters to make a Head-in-the-hole Photo Booth. 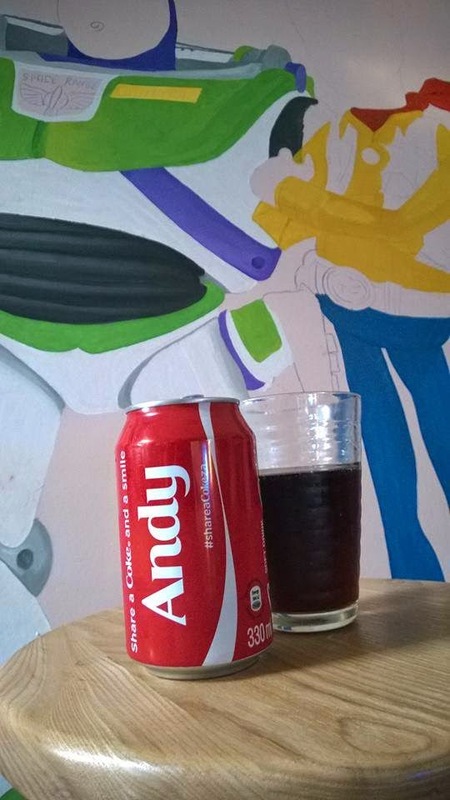 Share a Coke and a Smile... ANDY. 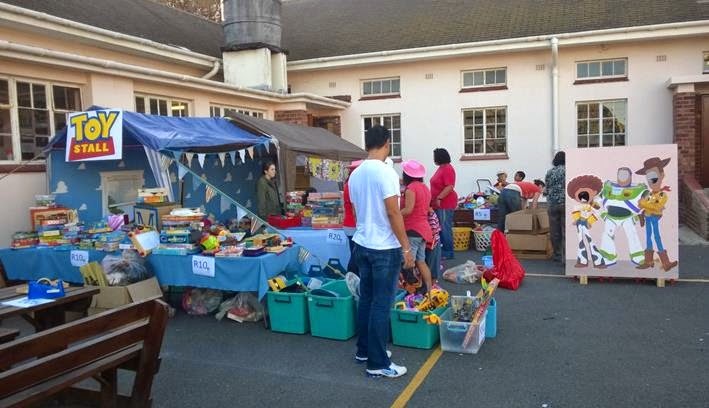 Setting up the Toy Stall for a school market day fundraiser. 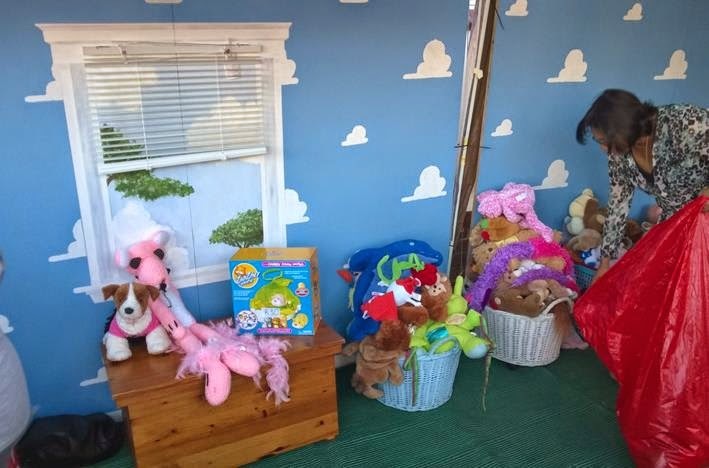 The inside of the Toy Stall was painted to look like Andy's room from the movie Toy Story. The completed Head-in-a-hole Photo Booth. Jessie, Buzz Lightyear and Woody.